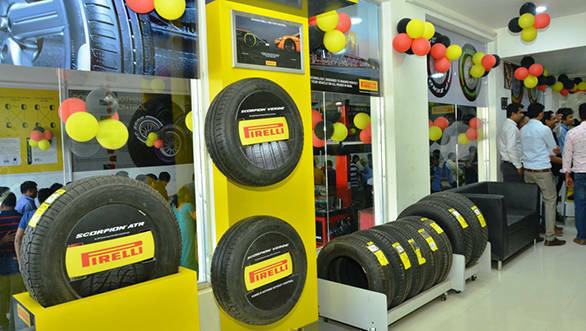 Italian premium tyre manufacturer Pirelli inaugurated its first retail store in Agra. The new retail store is located at Chetak Puran in Agra that offers the existing range of PZero, Cinturato P7, Scorpion Verde and Scorpion ATR tyres for Cars, SUVs as well as MPVs. The Pirelli retail store is spread across 2500 sq. ft and is claimed to be a one-stop shop for Pirelli's complete tyre range and service solutions. The retail store will offer services like automated tyre changing, wheel balancing, 3D wheel alignment, Nitrogen Inflation, batteries support along with other tyre specific services. The company has aggressive plans to increase its presence in India with new and more advanced service centres across major commercial hubs as well as the hinterlands of the country. 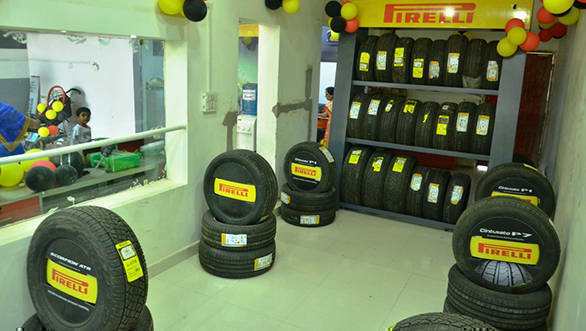 Pirelli Tyres currently has two tyre centres in Delhi, one tyre centre each in Mysore, Mangalore, and one branded retail store in Delhi and two branded retail stores and one tyre centre in Gurugram. "We are aggressively expanding our presence in India especially in the northern part of India to cater the burgeoning demand for premium/luxury tyres in the region. Furthermore we expect the next level of our growth from Tier 2 cities and expansion to these markets was an important part of our strategy." commented Sanjay Mathur, General Manager, Pirelli Tyres India.